Editor's note: This story was originally published on November 9, 2015. It will be updated on an ongoing basis as new models are introduced to the market and new terms and features come to the fore. Rent or own, we all want to know our homes are secure while we’re gone. That used to mean signing on with a professional—and pricey—security service like ADT. But the boom in wireless security cameras is putting home surveillance into our own hands. These close cousins of webcams require minimal installation and offer flexible setups and a range of security features. Indeed, the offers vary widely by camera, and navigating them all gets more daunting as this category grows ever more crowded. 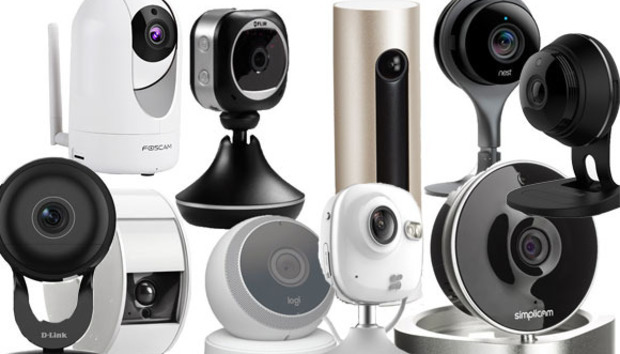 To help you find the best security camera for your needs, we’ve outlined the key features to consider and tested six of the newest, most high-profile models. Whether you’re looking for an easy way to check on your kids and pets, or a full-service sentinel to monitor for intruders, we’ll help find the right product for your needs. The Flir FX's battery backup ensures the camera will continue to operate during a power outage. The Netatmo Welcome supports facial recognition and can alert you when people it doesn't recognize come within its field of view. Facial recognition: A few newer cameras are experimenting with facial recognition. This feature could more accurately be called “facial identification,” as in practice it’s much better at distinguishing a face from, say, a lamp, than it is at actually distinguishing between one person’s face from another’s. If you opt for a camera with this feature, know that it typically learns faces through increasing exposure to them, so be prepared to spend a lot of time in front of the lens. Motion detection: Assuming you’re monitoring your home when it’s empty, motion detection is one of the most desirable features in a security camera. Built-in sensors pick up movement within the camera’s field of view and trigger video recording. Because these sensors are sensitive to any movement—event a shift in lighting or leaves blowing outside a window—it’s important the camera system also offer the ability to narrow the range of detection, adjust the sensor’s sensitivity, or otherwise customize this feature to cut down on false alerts. Pan/Tilt/Swivel : Most security cameras—including all the ones in this guide—can be manually tilted and swiveled to focus on a certain viewing area, but this is a purely set-it-and-forget it feature. A true pan/tilt camera is equipped with a motor so that you can move its lens—or even follow a moving object if you're watching a live feed—using its app or browser-based app. Resolution: No amount of security video will help you if it’s blurry, jittery, or otherwise distorted. Look for a camera that offers the highest possible resolution. Most currently offer 720p (often referred to as "high definition" or HD), but some newer cameras are coming out with 1080p (often referred to as "full HD"). Keep in mind higher-res cameras use more Internet and Wi-Fi bandwidth and battery life. Many cameras also offer a software zoom feature (which is not the same thing as having a physical zoom lens). Security: There have been plenty of headlines about hackers compromising home cameras, baby monitors, and other Wi-Fi devices to spy on people, so be sure to check what steps has each manufacturer taken to eliminate this problem. Look for a camera that supports up-to-date wireless security protocols, such as WPA2, and make sure it encrypts Internet transmission of your your user name, your password, and the live feeds. Never install a security camera (or a router or any other device on your home network) without changing its default user ID and password. Logitech's Circle home-security camera features two-way audio. Viewing angle: The camera’s field of view determines how much it can see. As you’re probably monitoring a single room, you want a wideviewing angle. Most current cameras fall in the 130-degree range. These wide angles can sometimes cause image distortion at the edges in the form of a fisheye effect, particularly when used in smaller rooms, but it's not like you're going to use a security to capture snapshots for your photo album. You'll find hands-on reviews of 10 of the latest home-security cameras attached to this buyers' guide. We've improved our site navigation so that clicking on the product names below will take you directly to that review. Alternatively, you can use the navigation menu at the top of the story, labeled 'More Stories in this Series.' If you'd like to read each review one after the other, use the arrows at the bottom of each page. We will expand this collection of reviews over the coming month and will add new definitions and features to look for as they come up.